This week I found myself on a different side of the bourbon zeitgeist than usual. What I thought was good and interesting was viewed by many as controversial and in poor taste. I had people I respect tell me they disagreed with me. I had people I don't respect (or even know) call me out and to tell me how wrong I was to donate to a cause I believe in. But here's the thing, I really don't let what others think inform what I think is good. And if I feel like doing something with my money, I'll do so. See, I put my money where my mouth is. I'm not just some guy sucking at the teat of big whiskey pretending to be a critic. Well, ok, maybe I am some of that. You see I am just some guy. And you could say that by doing reviews I do pretend to be a critic. I'm not a critic. I'm an enthusiast. I'm a fan. I love the flavors, the aromas, the liquid, the personalities and the history. I even love some of the companies. When I tell you what I think about things, sometimes I gush where others would be measured and professional. This happens because I seriously love bourbon. There are two people in the world that I have gone out of my way to get autographs from. Both make bourbon. One I wrote about earlier this week and the other is Jimmy Russell. Jimmy Russell is a Master Distiller at Wild Turkey. He is one of the most amazingly fun people I've ever talked with. 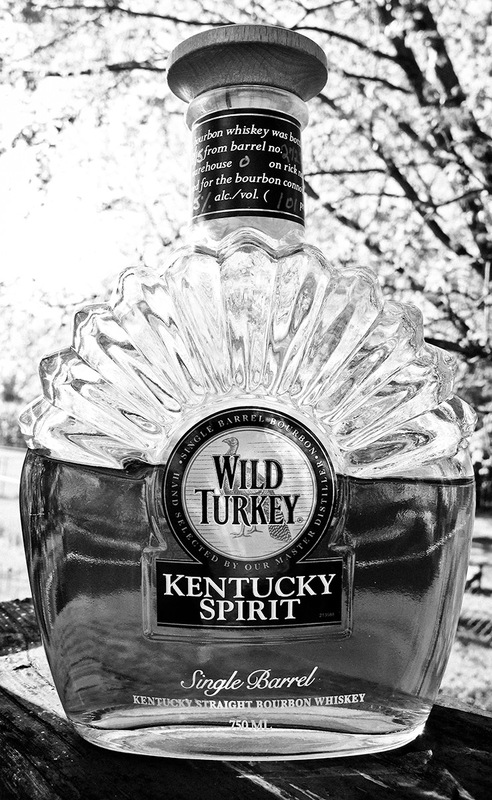 I'm a fan of his and of Wild Turkey. But even though I'm a fan, that doesn't mean I've tried everything they've put out. Somewhere along the way I missed picking up the single barrel product they put out, Kentucky Spirit. Single barrel products are hit or miss. They are what many enthusiasts turn to when they've gotten bored of the regular releases. And sometimes they are really, really good. Other times they are less than perfect and show why most companies mix together many barrels when they put out their product. Purchase Info: $38.99 for a 750 mL bottle at Total Wine, Burnsville, MN. Nose: Fruit notes of pear and cherry, the stick of gum from an old baseball card pack (kind of paper and gum mixed...yes, I'm old, shut up) and freshly tilled earth. Mouth: Hot with a sharp alcohol bite on the initial sip. After that I get typical bourbon notes of caramel, vanilla and oak. Finish: The finish brings back the fruit and bubble gum notes from the nose. There is a nice heat that lasts a while. Thoughts: This is tasty and I do like it but for the price I would probably buy either my beloved 101 or if I wanted something a bit higher up the flavor scale, Rare Breed.